Their playfulness has no limits and is full of surprises (in this case for Daddy!) and while their faces are obscured, the fits of giggles are resounding. Click HERE to visit our collective, Who We Become, to see more playful images. I was recently challenged by two supremely talented photographers, Jesse Riesmeyer and Stacey Vukelj, to post a black and white photo a day for five days. I took this photo, the final one for this b/w photo challenge, during our recent trip to the farm last weekend. Again, lines and patterns are what grabs me. This is Day Five. Holy Cows! And more fun at White Post Farm out in Long Island. 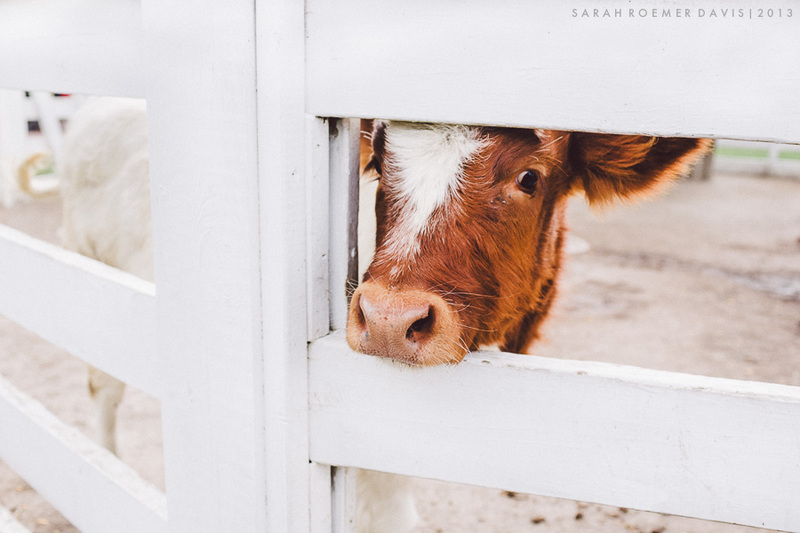 These friendly bovine positioned themselves perfectly through the fence for our final week of geometric framing and voilà, I just had to press my shutter button. Please click HERE to visit our website collective where you can see all of our images in one place.